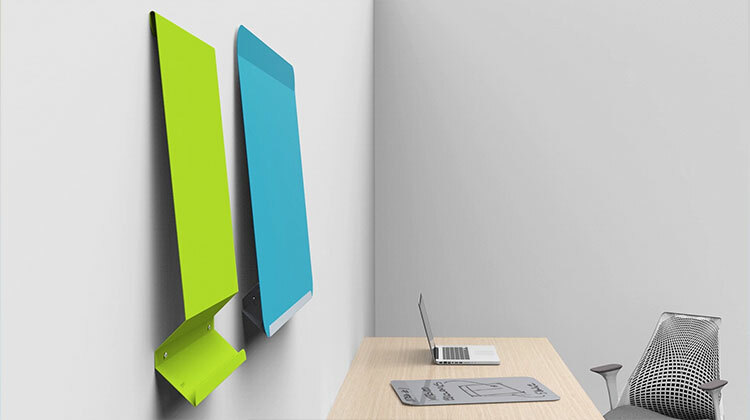 LINK Board is a personal dry erase board that adds color, productivity, and portability to modern workspaces. The two piece whiteboard allows you to leave messages for co-workers on the wall mounted base, while using the portable tablet face to share your ideas. When installed, the board sits at a 5-degree angle to take stress off your wrist, making the whiteboard more comfortable to write on. 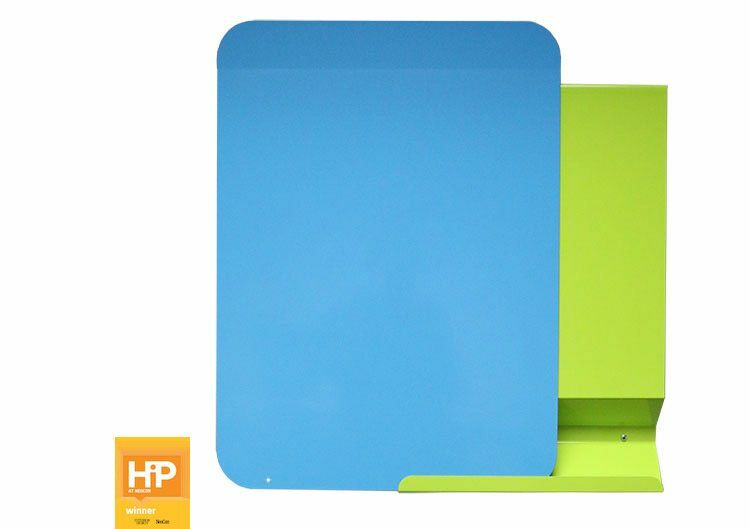 Size: 24" x 18" or 24" x 30"
Premium dry erase powder coat on a beautifully formed steel surface. Choose from two sizes: 24" H x 18" W or 24" H x 30" W; available in 6 color combinations with custom colors available. Board is inherently magnetic and the ergonomic design reduces physical strain on wrists, making it easier to write on. 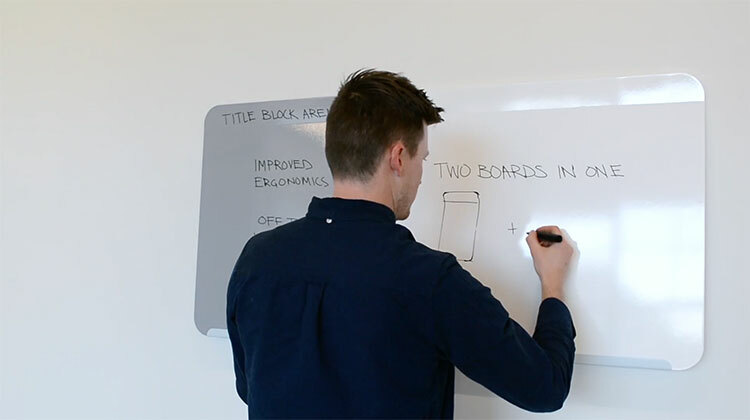 The two-in-one whiteboard has a face, and base whiteboard surface. The base is affixed to the wall, while the face is portable. Each LINK Board comes with magnetic accessories and ships with a marker and microfiber cloth. Backed by Ghent’s 10-year manufacturer warranty and made in the USA. 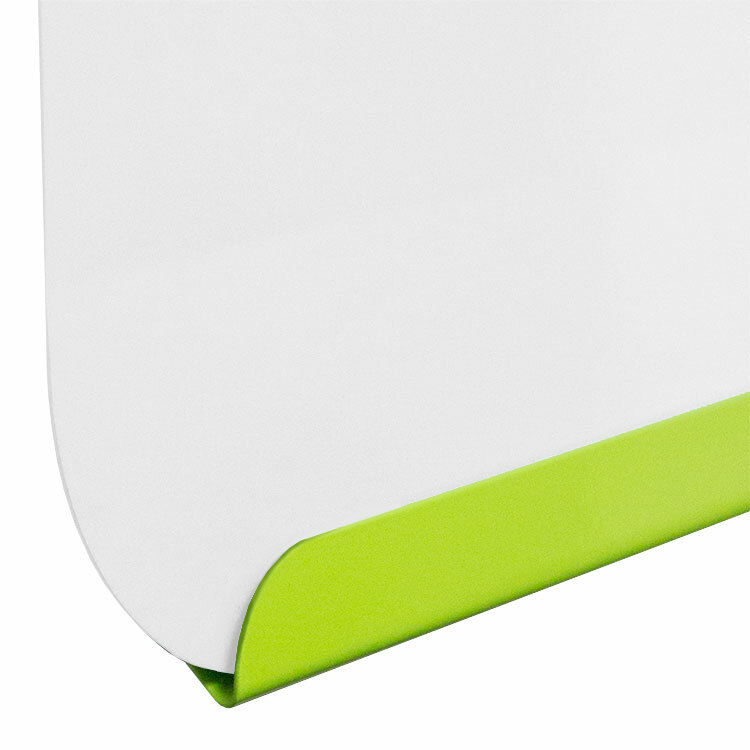 Ghent's LINK Board dry erase board adds color, productivity, and portability to modern workspaces. The two-piece whiteboard allows you to leave messages for co-workers on the wall mounted base, while using the portable tablet face to walk around the office and share your ideas. 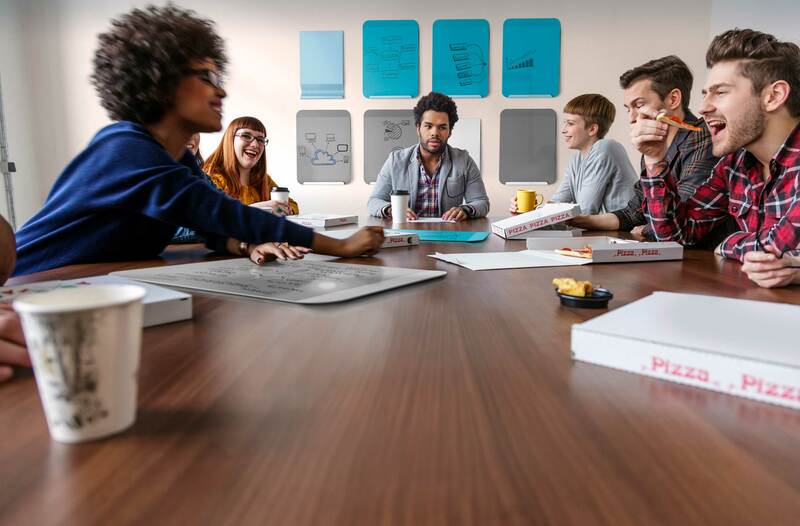 LINK Board’s lightweight face can be removed and used on a tabletop or in group meetings for on-the-go collaboration. When installed, the board sits at a 5-degree angle to take stress off your wrist, making the whiteboard more comfortable to write on. 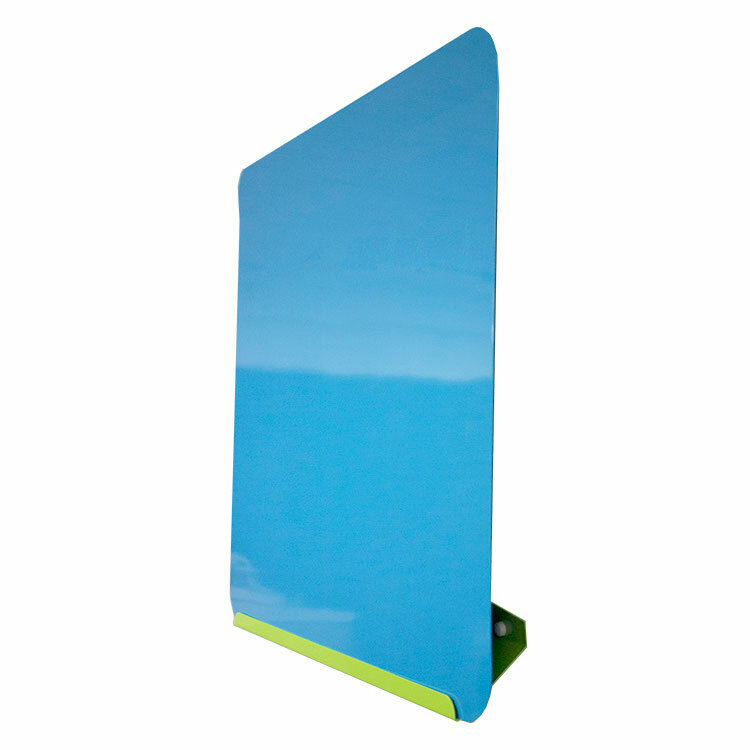 LINK Board's base and face are magnetic and include a marker and magnetic microfiber cloth. The back of the face is lined with magnets to hold it tightly against the base, adding stability when writing. 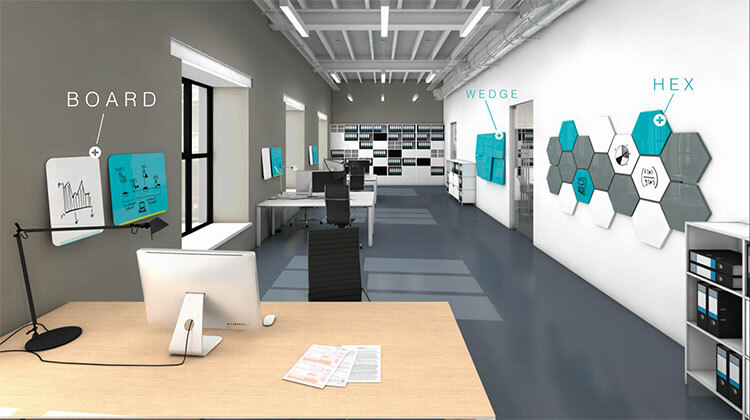 The easy to clean powder coat finish will not ghost or stain, providing a long-lasting writing surface that adds personality to your office or co-working space. All LINK Boards are shipped to you in Ghent's worry-free packaging, designed specifically for shipping whiteboards. 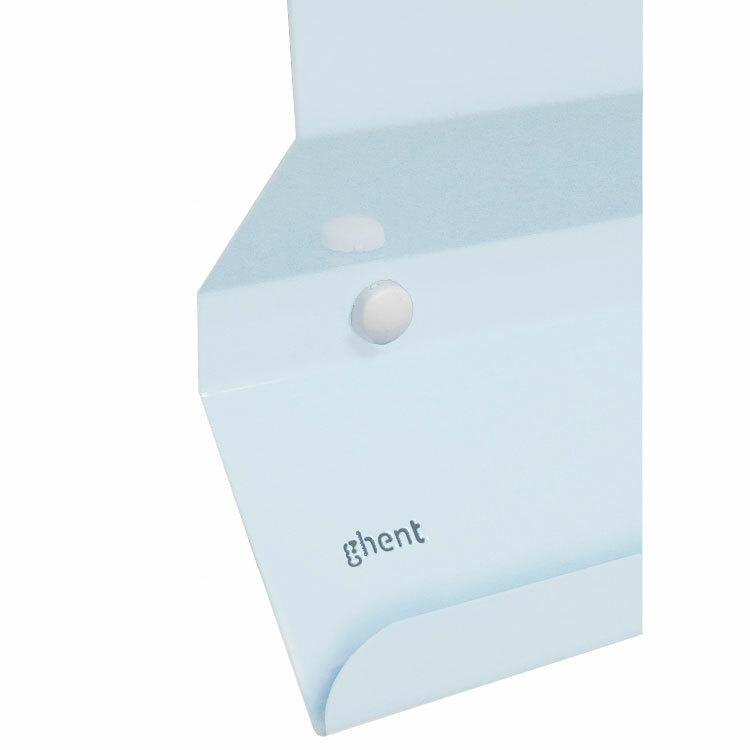 Ghent's LINK Board carries a 10-year warranty and is made in the USA.